ABOVE : The cheap Japanese 6 X 40 Wide Angle sight on this Husqvana .270 Winchester is still working okay after 30 plus years of use. Anywhere animals are hunted and at the target range almost invariably the rifle will be fitted with a telescopic sight, in this day and age non optical sights are the exception rather than the rule. Within our family group there were only two rifles that did not carry an optical sight, one was a British double and the other was my personal scrub rifle for many years, a 7 X 57, it did good work with a peep sight in the lignum. Over thirty five years of active shooting some rifles have come and gone, the same applies to telescopic sights, the good the bad and the plain ugly. Unfortunately in this day and age the advertising hype would have you believe that unless you are using a modern fifty power telescopic sight, that one with a tactical illuminated reticle and rose tinted lenses you will surely miss what you are aiming at! At its most basic all the telescopic sight is useful for is the increase in magnification which will allow better projectile placement, subject to rifle accuracy. Extra magnification alone is no guarantee of extra accuracy; recently my best ever personal group with a factory rifle was shot with a ten power sight. Whilst you can spend a proverbial fortune on sights at the other end of the scale there are now much cheaper versions that appear to be getting better in quality by the day. I would suggest that for most shooters/hunters the truth lies somewhere in the middle of the two extremes. Further, the old buying adage that you only get what you pay for may not be exactly correct. There are several thirty five year old cheap sights still in use within our family. At the time of purchase, these sights, a straight 6 X 40, a 6 X 40 wide angle and a 4-12x40 variable were considered to be of questionable Japanese quality. Today it is not unusual for optical glass to be made in Japan or Chin a but assembly in any one of half a dozen other countries. Some still have a long way to go in terms of quality, however from personal observation and use the quality continues to get better. At the other end of the scale the dearest sight, whose cost was on the wrong side of $1000.00 packed up after some fifteen years of slight use, no it was not dropped or abused. ABOVE : Authors Ruger 77V in .243 Winchester, current sight is a Weaver 2 X 10 Super Slam variable. Sights may also differ when we consider exactly what they usually will be used for. The requirements of the mythical average hunter shooting pigs will differ from that of the long range varmint hunter or the benchrest shooter; the distance to the potential target also play a part and may influence the degree of magnification required. If we use the same sight for spotlighting choice of reticle may be important. The number of different rcticulcs available at the present time is mind numbing. I would suggest that except for very specialist uses the clearer and uncluttered die reticle the better. There arc so many variations on the same theme that offering advice is fraught with danger. For a hunter on a budget a sight may be required to cover several different situations, enter the variable. Whilst we do have fixed power sights I would suggest that the variable offers better flexibility. For general hunting possibly one of the most used telescopic sight sizes is a 3-9x40 variable; either with a standard cross hair or a duplex rcticle. The duplex has thin cross hairs near the middle of the sight whilst those at the outer edges are thicker, it naturally concentrates ones eye to the middle of the sight and allows for a clear sight picture. The main requirement with this type of reticle is that it should be very basic and uncluttered in relation to the intended use. 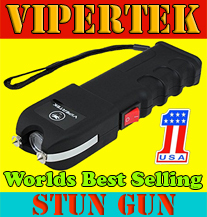 I would suggest that this size covers quite a range of uses and is well suited to spotlighting. On 3 or 4x power settings, it provides an ideal sight in the scrub for short range work for quick acquisition of relatively close targets such as fleeing pigs, often in high gear! Its close cousin the 4-12 variable is equally useful. 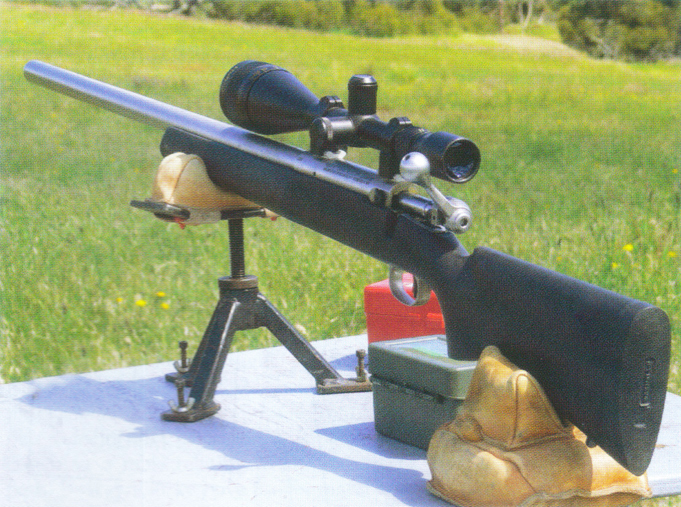 In our early days the family Ruger 77V in .243 Winchester calibre did double duty on both pigs and rabbits, usually, due to the heavy barrel it was shot off a bipod. We shot countless rabbits with the setting on twelve power in the late afternoons using Speer 85gn projectiles, when sitting on dams at dusk and under the spotlight four power and 100gn Speer projectiles took care of the pigs! This sight is still in use and has proven to be very acceptable over the intervening years. Plain cross hairs are useful in some circumstances and the use of very fine crosshairs for target shooting and benchrest shooting is well known. Usually sights of this type are of a fixed high power, 36x is common, when you are aiming to shoot the next projectile into a group perhaps only slightly bigger than a singular projectile diameter such magnification is a requirement. Some of the more modern sights are greater in power, however they should be considered for exactly what they are, it might be thought they are useful for perhaps long range varminting. Due to the limited field of view acquiring targets even at long distance can be an exercise in futility; a higher power variable is much more suitable. In addition it is preferable for such high power sights to be shot off front and rear bags to provide the necessary stability. For a hunting rifle, what type of sight is suitable for general hunting other than a variable? Well there are plenty of opinions. When a general hunting rifle was eventually purchased some thirty years ago in .270 Winchester calibre; it quickly became apparent that a telescopic sight was needed. The previously mentioned 6x40 wide angle Japanese sight was installed and has more or less remained there for the last thirty plus years. The only time the settings needed to be changed was when different ammunition was used other than the normal fifty four grains of AR 2209 and a 130gn soft point projectiles. ABOVE LEFT : This Arctic Fox Ranging reticle is typical for long range work. ABOVE MIDDLE : Plex or Duplex reticle seems to be the most common for general hunting. ABOVE RIGHT : Typical mil dot reticle, distance between dots should be 3.6 inches. A couple of years ago a new Tikka T3 arrived in the gun safe, the calibre 6.5x55mm, it was time the .270 Winchester took a bit of time off, aside from any other reason the bore was showing signs of wear and needed to be preserved. When it came to a sights I could not go past a Bushnell 3-9 variable which had seen use elsewhere, I have never regretted the choice. 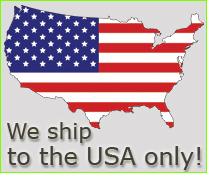 Other American sights used over the years in this medium price range are Burris, Redfield and Weaver; we have never had a problem with any of them. When we get to specialist animals such as deer the requirements change yet again. 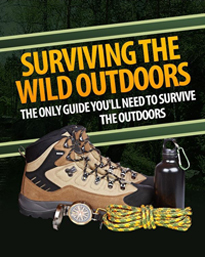 The author is not a deer hunter but having talked to several mates who normally htint such animals their requirements arc quite specific. Due to the fact that many deer are taken in poor light conditions, i.e., on dusk, there is a requirement that any sight should be able to make use of the minimum amount of light available. My deer shooting mates suggest that good quality European sights; perhaps 3-12x50's have proven to be very flexible considering both terrain and time of day. The extra expense for such specific telescopic sights is necessary to be able to take the shot in the first place with some confidence. Aside from poor light conditions the background for dusk shots is likely to be on the dark side also. The needs of the long range varmint hunter are different again; here we have relatively small targets (usually the humble rabbit) that may be more than 400 yards/metres or more distant, sometimes over a valley or ravine with an unknown wind velocity thrown into the mix, and we wonder why we miss even with the most accurate rifles! Usually in such situations a good variable sight allows quick acquisition and then the power is increased to allow the precise shot location. Most of the higher power variables seem to be 6.5 X 20, 6-24 or perhaps an 8-32, the choice is yours. The very high power sights also introduce another problem; they will show up your heartbeat. This can be a problem if using a bipod, the use of a front rest and a rear bag as a steady platform may eliminate this problem, it is a situation faced by benchrest shooters all the time. Before the Savage LRPV in .22-250 Remington calibre appeared in the family gun safe some eight years ago some time was spent contemplating as to what type and power of sight should be mounted. 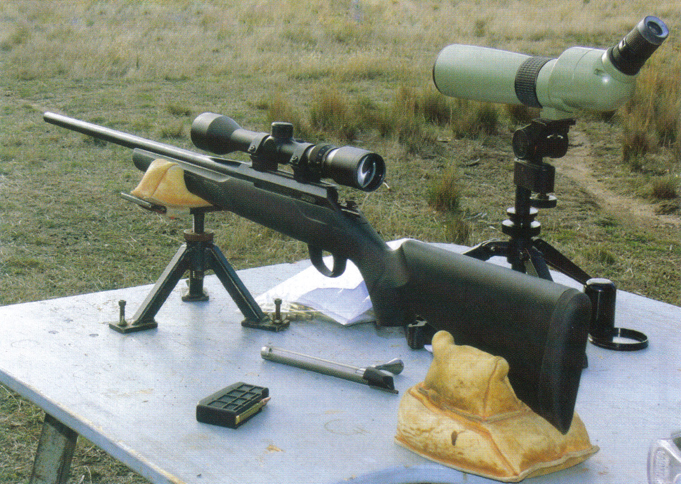 ABOVE : Savage LRPV in 22-250 Remington with 6 X 24 simmonds variable, cost was $69.95 (US), a good combination. To take advantage of the calibre something of reasonably high power was required to take advantage of the cartridges capability. 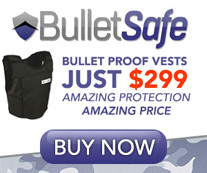 Eventually by chance , I came across a US shooting web site that had a sale; a 6-24x50 with a mil dot reticule was advertised at US $69.95, I thought that if the sight lasted twelve months or so I would have had my monies worth! The sight was mounted before load development started and eight years later is still there. The only complaint is that the spacing of the mil dots has an incorrect value, a mil dot is 3.6 inches at 100 yards, on this sight the mil dots are spaced at 2 inches! Aside from that I have had nothing to complain about, you just never know. For the price I would suggest that the sight is of Chinese manufacture. The rifleman equipped with a lever actioned rifle in a lignum swamp who seeks pigs has very definite requirements of his telescopic sight. Ranges are short, usually within one hundred yards or so, often the animals literally explode at the hunter's feet. Quick acquisition of the target via any telescopic sight is a requirement; hence the degree of magnification is low. Cameron's 1895 Marlin in calibre 45-70 has worn a 1-3.5x variable Tasco sight for most of its life, only recently has a newer Leupold 2-7 taken its place as it fogged up, probably the seals leaked. However after twenty years of constant use he is not complaining. Of course we need to address the sighting in problem, if the new telescopic sight is not sighted in correctly the normal advantages of the cartridge/rifle combination will be lost. In relation to hunting rifles, ie, perhaps a 243 Winchester, .270 Winchester, 6.5x55 or a .30-06 at what distance should the projectile impact agree with the horizontal cross hairs of the sight? The old stanza was that a hunting rifle should be sighted in to be three inches high at one hundred yards. Knowing the ballistic coefficient (B.C) of a particular projectile and the muzzle velocity of the same projectile it is not difficult using a computer program such as Load from a Disc (and similar) to work out the figures. It is necessary to use ACTUAL figures from your rifle for them to be accurate, reloading manual are only a guide in relation to expected speeds. The following table was worked out using Load from a Disc and our family rifles. Different people might have a different points of view but I would suggest that the above basic table might indicate that there is some merit in sighting in to be 3 inches high at 100 yards. For the telescopic sight used in conjunction with a lever action rifle in the lignum all of our shooting group members sight in for the zero range to be 100 yards, this seems to have worked out nicely over the past twenty five year or so using either the .30-30 Winchester or .45-70 cartridge. When trying to work out sighting in figures for long range varmint rifles the waters are somewhat muddier! Is the telescopic sight equipped with just a plain cross hair or duplex reticule? Or, is it a sight that has range marks in the vertical plane? It would be unusual to find a higher power telescopic sight that is not fitted with some form of ranging marks, either as mil dot or some other type. Depending on brand, mil dot scopes may be available as low as 16x power. A ranging reticule need not be all that elaborate, it can be as simple as a set of cross hairs plus lower ranging marks spaced at one inch intervals below the horizontal crosshairs. Using a program such as Load from a Disc it is therefore not difficult to produce a table of projectile impact for a particular mark having regard to both the B.C. of a particular projectile and its initial speed. Usually most sights in this category also have ranging marks horizontally on the central cross hairs to allow for wind drift, there are many variations on the rheme. The same applies to a higher powered sight that is only fitted with cross hairs either duplex or plain. Again using Load from a disc plus velocity and projectile it is possible to construct a table relating to the projectiles path. It's a system we have use for many year. It helps it the shooter has a spotter. The spotter ranges the target using an electronic range finder, consults the trajectory table and advises the trigger man exactly where the projectile impact is in relation to the horizontal cross hair. If we look at the enclosed table relating to my .22-243 Improved at 400 yards the projectile impact is 2.25 inches below the cross hair aiming point. When constructing such a table you can change the parameters to suit your particular needs. Wind associated with long range varminting is a continual problem, one that is magnified when shooting long distances across valleys and ravines. Yes you can measure wind strength at your location but almost invariably it will be stronger across the intervening space, how much? It is a lot easier shooting a similar distance over flat plain country. In this article I have mentioned brand names that we in the family have used over thirty five years. None of those mentioned from the cheapest to the dearest have every caused any problems despite constant handling in and out of vehicles and in the bush. I would agree that there are many brand names that we simply have not at this stage used; the numbers do seem to be increasing! Whilst every effort is always made to prevent all telescopic sights from knocks or damage if you operate in the bush long enough such bumps are inevitable. ABOVE : Authors Tikka in 6.5 x 55 wears a 3x9 Bushnell scope, ideal!